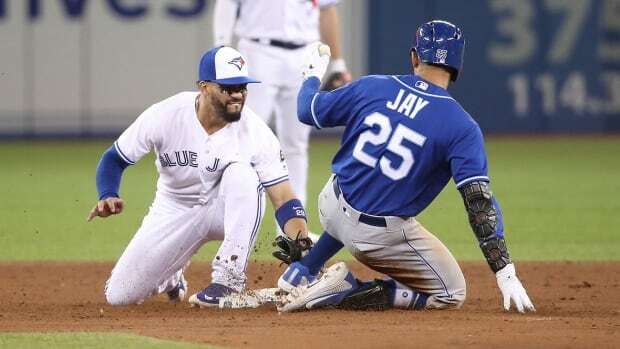 If you’re a Blue Jays fan, the team’s hot start likely has you excited for the next game. You probably can’t wait to turn on the television and watch Wednesday’s matchup against the Kansas City Royals. But if you do, you’ll be disappointed. The 4 p.m. ET game is one of 25 Major League Baseball contests this year that will be broadcast exclusively on Facebook, including another Blue Jays game on May 24. The social media giant paid $ 35 million US for the rights, according to a report by Bloomberg. Fans may notice a few differences with the game presentation when they log onto Facebook’s MLB Live page. The games will have a TV-broadcast feel but are being produced by MLB exclusively for the Facebook format. Rather than the Blue Jays’ familiar broadcast crew, fans will get MLB Network personalities, including former players Cliff Floyd and Jeremy Guthrie. Wednesday’s game, which is free to stream, is the third Facebook broadcast of the season. The results so far have been mixed. Fans haven’t exactly embraced the move. Some pay a premium for cable sports bundles or shell out for the MLB broadcast package so they can watch the games on the big screen, and have been disappointed by the Facebook-streamed version. Complaints have included misshaped graphics and viewers’ comments scrolling over live action. MLB is the latest professional sports league to test the possibilities of alternative broadcast and delivery methods. Facebook and Twitter have both carried NFL games. Facebook also has deals in place to broadcast some European soccer and U.S college basketball games. And Amazon recently acquired the online rights to the NFL’s Thursday night games. “The real question is: Do you start getting [games] more through digital than you do from a traditional cable or satellite provider?” Brown says.